Make Your Dreams Come True in Record Time! Discover How you Can, Realistically, Manifest Your Hearts' Desires, how to Create Wealth, Be successful, Have Authentic Relationships, the Perfect Career, Excellent Health & Fitness, Effectively and QUICKLY, using simple but powerful techniques, scientifically proven to work! This class is a Manual with Step by Step Instructions to Become a Master of the Laws Governing the Universe, Create the Life You Really Want, and Manifest Unexpected Solutions to your most pressing issues, in only few weeks! The teachings introduced will be validated with plenty of scientific facts! “After reading tons of books, attended many webinars about the law of attraction, and used this law without achieving any realistic results, I decided to attend Anna's class. Finally I am able to understand how it works, and why it had continuously failed in the past! 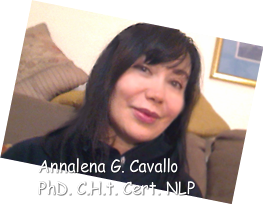 Anna makes complicated subject simple, and elaborated, scientific concepts, very clear and accessible!" The value of this class: $197.00 -It is offered at this website for only $45.00 - Register now! if you register now through this website! Or $55.00 at event location.